It's a Jeep thing, you wouldn't understand. The Patriot is a car-based SUV and not really a true off-roader, but its truck-like shape and iconic Jeep look make it stand out. 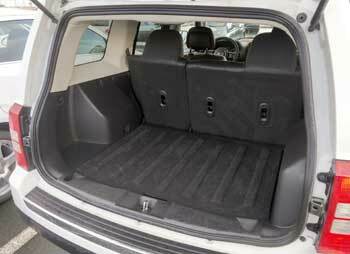 It's also one of the most affordable compact SUVs. The Patriot comes as a front-wheel drive or all-wheel drive, with two different 4-cylinder engines. Transmission choices include a 5-speed manual or CVT. A conventional 6-speed automatic transmission was added for 2014. The optional Freedom-Drive II Off-Road Group package offers Off-Road 4WD LOCK mode and Hill Descent Control, as well as skid plates, heavy duty alternator and other upgrades. The fuel economy is average for the class. The interior is nicely done and practical. The Patriot handles like a car and offers a tight turning radius (35.6 ft). Is the Patriot reliable? What are the reported problems? Read below to find out. 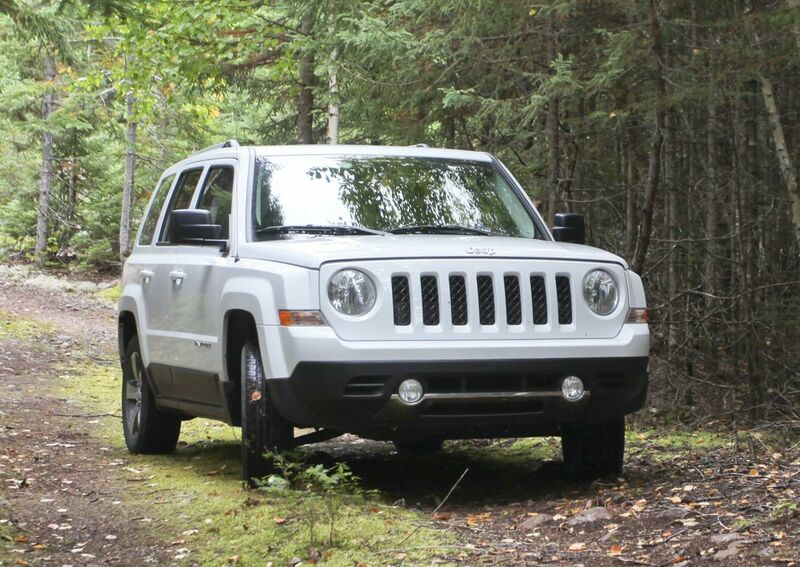 Engine: The Patriot comes with either 158-hp 2.0L or 172-hp 2.4L DOHC 4-cylinder engines. The 2.0L is only available in front-wheel drive models. Both engines are not very quiet, but mostly trouble-free. In our view, the 2.4L is a better choice. Timing belt or chain: Both the 2.0L and 2.4L engines have a timing chain. There is no timing belt. Fuel Economy: The most fuel efficient trim is the 2013-2017 2.0L front-wheel drive with a manual transmission. It gets 23 MPG city, 30 MPG highway. The 2007-2012 2.0L FWD Patriot automatic is rated at 23/27 MPG city/hwy. The 2014-2017 FWD Patriot with the 2.0L and auto transmission gets 22/26 MPG. The 2014-2015 4WD 2.4L Patriot with a 6-speed automatic transmission shows 21/27 MPG, or up to 351 miles (565 km) on one tank of gas. 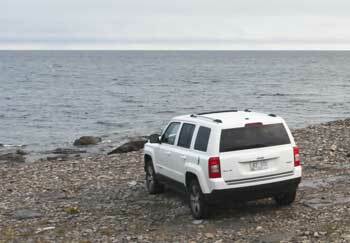 Mechanical: Jeep Patriot has MacPherson struts in the front and multi-link layout in the rear suspension. Rear brakes are drums in FWD models or discs in 4WD and some FWD models. Anti-lock Brake System (ABS) and Stability Control are standard. The steering is hydraulically-assisted. 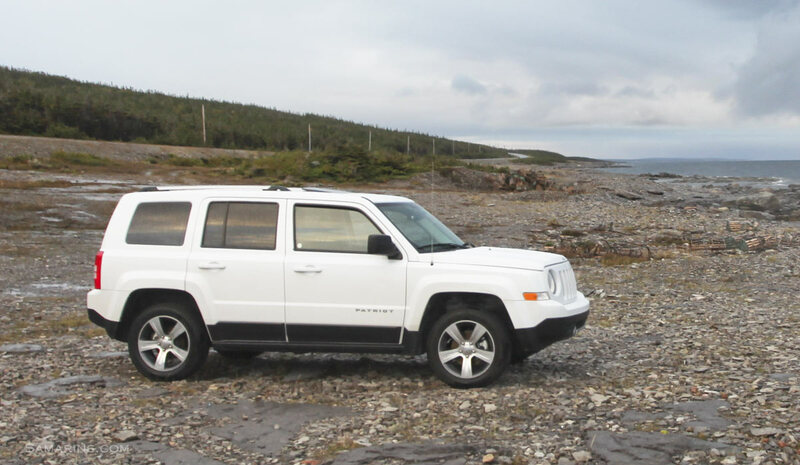 How capable is the Jeep Patriot 4WD system? Similar to most compact SUVs and crossovers, the Patriot has a front-wheel drive-based 4WD system: front wheels are powered at all times and rear wheels are engaged when needed. 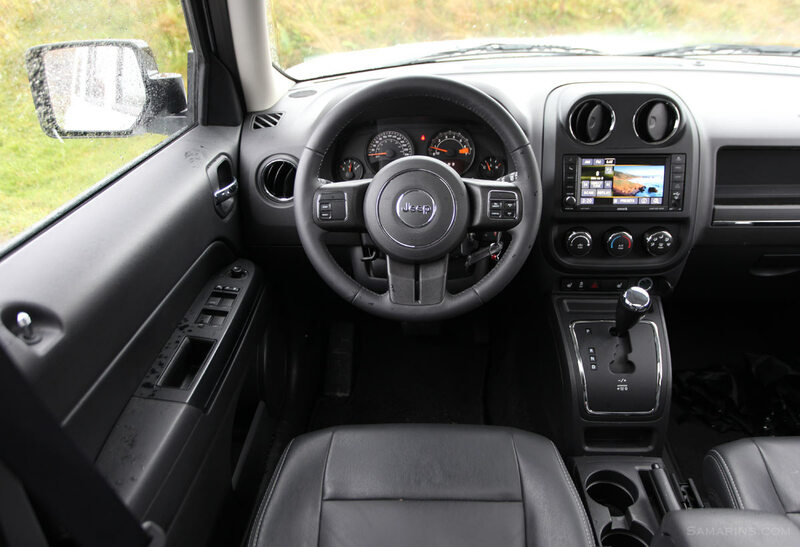 Unlike most of its competitors, however, the Patriot 4WD system has the Lock Mode. When the 4WD Lock is activated, the system sends more torque to the rear wheels. This can be useful in loose snow or sand at low speeds. The optional Freedom-Drive II Off-Road Group adds the Off-Road mode to the gear selector, as well as a few other upgrades. When shifted into the Off-Road mode, the CVT transmission engages the internal low-range mode. This will not turn the Patriot into the Wrangler, but can help when climbing a steep hill or navigating through deep snow. Cons: Below average reliability, finicky CVT, interior materials could be better, depreciates fast. Jeep Patriot Problems: Difficulties filling the tank can be caused by a problem with one of the valves inside the tank. The fuel tank might need to be replaced to solve the problem. There was a warranty extension in Canada and the salt belt states for front and rear crossmember (also known as a subframe) corrosion. According to the service bulletin 23-007-17 REV. C, the warranty for crossmember perforation/rust has been extended to 10 years (X69 Warranty Extension). Erroneous Uconnect prompts might be corrected by reprogramming or replacing the Hands Free Module (HFM). The bulletin 08-031-16 describes the repair. The corrosion at the fuse/relay box located in front wheel well (in front of the left front tire) can cause a no-start condition. This Youtube video shows the problem and repair. See also: how to check fuses in a car. The service bulletin 08-007-08 REV. A also mentions another problem that can cause a no-start. According to the bulletin, the Wireless Control Module WCM / SKREEM needs to be replaced to correct the problem. The bulletin describes the way to temporarily reset the WCM module by removing the IOD fuse and reinstalling it back after 10 seconds. Stalling in early models (2007-2012) is another issue mentioned by several owners. Some owners say it happens after filling up the gas. This thread talks about it. There is also a number of complaints on the NHTSA website. Some owners indicated replacing the fuel tank as a possible solution. 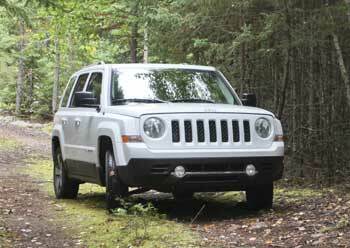 There was also the safety recall N17 for the 2012 Patriot involving the fuel tank transfer tube, as well as M11 recall for the 2012 4WD Patriot (Fuel Tank Rollover Valve). Lower ball joints fail often. A lower ball joint is pressed into the control arm. Replacing a lower control arm costs $280-$360 per side, plus the wheel alignment might need to be done. A bad alternator decoupler pulley can cause a whining / buzzing / rattling noise from the alternator area and sometimes charging system problems. A pulley or the alternator may need to be replaced to correct the problem. The pulley and the tool to replace it can be purchased online. It's not very expensive, but replacing it is not easy without special equipment. We found several videos on the subject. 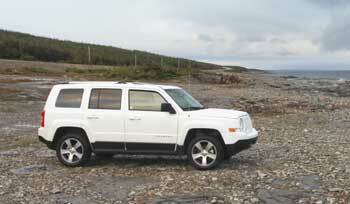 Read this thread at Jeep Patriot forum for more info. Several Patriot owners mentioned water leaks into the interior from the sunroof and other places. Check Engine light and electrical / lighting issues are also not uncommon. To solve the Check Engine light with codes P0139 or P2270, the PCM might need to be reprogrammed, according to the service bulletin 18-011-08 REV. The Patriot is one of the least expensive compact SUVs on the used car market, but there is a reason for that. The overall reliability is not better than average. The 2013+ Patriot has less reported problems. We test drove the Patriot for over 3500 miles and other than some uneven tire wear, we didn't experience any problems. It was actually a nice comfortable ride.